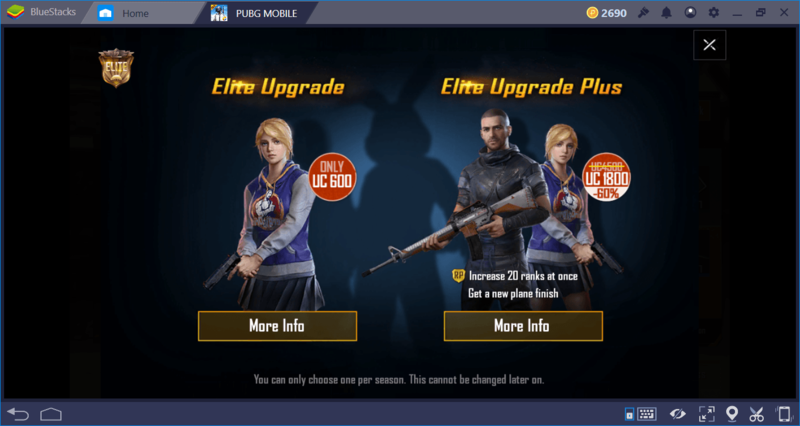 What’s New In PUBG Mobile 0.60? If you have stopped playing the PUBG Mobile and headed to other games, the 0.60 patch can convince you to come back with its tons of new additions to the game. If you are still playing, you can start experimenting with new game modes and maps immediately. 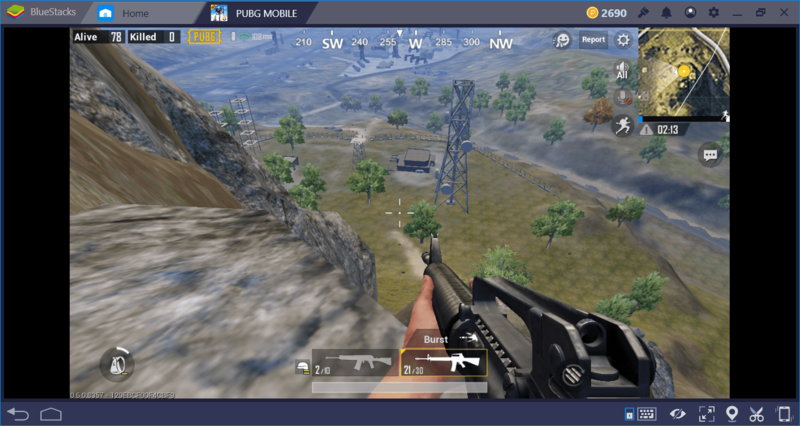 The new patch makes it possible for mobile players to take advantage of all the features added to the console versions of the game just a couple months ago: We can say that PUBG is now a game that can deliver the same experience on all platforms. So, what’s been added to the game with the 0.60 patch? Before we answer this question, let’s talk about how BlueStacks users can update their game to the new version. The 0.60 patch is an OTA update, so you do not need to download it separately. 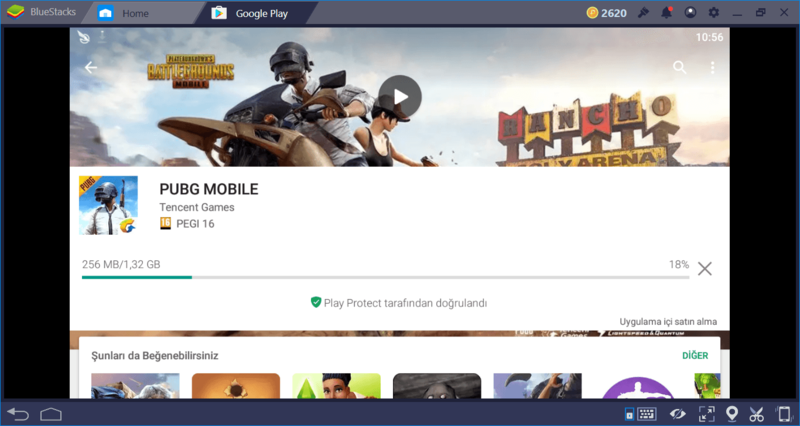 If the PUBG Mobile is already installed in BlueStacks, the update will be automatically downloaded and installed, and you do not need to do anything. 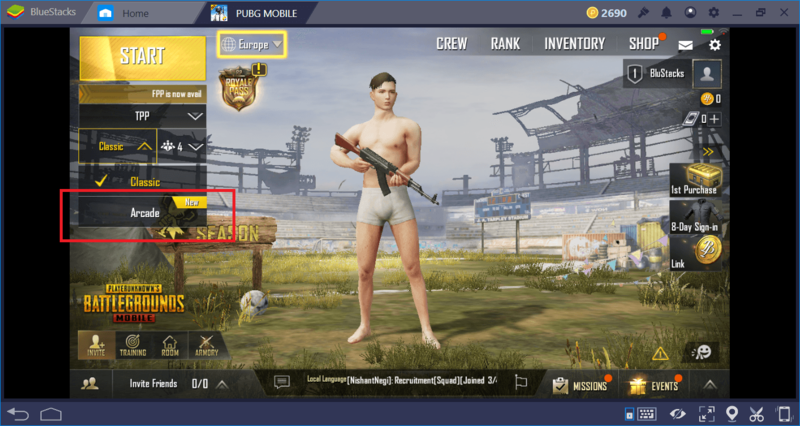 Most likely, you already saw the message “PUBG updated” in the bottom right corner of your interface. However, if the update is not performed due to any reason, or the game is not installed, you can reinstall it from the Play Store. You will need to download a 1.32 GB file, which can take a few hours if you have a bad connection. If you have already played PUBG, you can continue where you left off in the new version, you do not have to start the game from the beginning. First of all, let’s list all the changes and additions of 0.60 patch collectively. Afterward, we will examine the most important ones and talk about how they will affect your gaming experience. First Person Perspective (FPP) mode added. Players can play the game like a true FPS now. 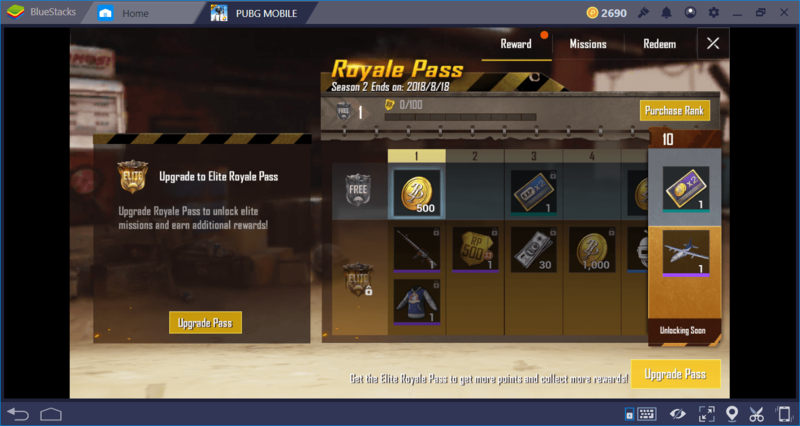 “Royale Pass Season 1” added. 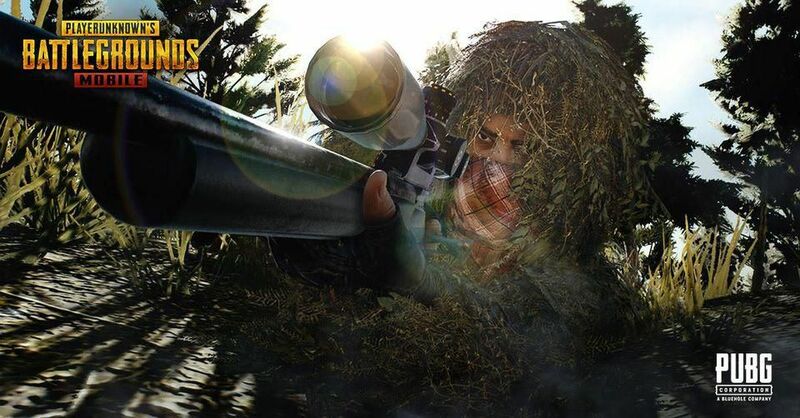 This is a brand new feature where players can complete Daily and weekly missions to earn points & upgrade their ranks. Airplane finishes are added. Only the player with the highest Royale Pass rank can change the finish of a plane before parachuting. Sub-weapons are added. The pistols have their own slot now. This means players can carry two main guns and a pistol at the same time. Voice chat system is improved and players can mute teammates now. An “Armory” screen is added. Through this screen, players can view all of the weapons & attachments they have and compare them to each other. New characters (Asian characters) are added. In addition, all players are able to use simple emotes now. It is possible to link more than one social network (maximum two). Added lots of new items to the Shop. In addition, it is possible to gift shop items now. Added more sound effects and customizable buttons. Added a new 4×4 map for 100 players. The loot drop rate is x3 and the safe zone circle shrinks much faster. You cannot damage your teammates with vehicles anymore. Bugs related to 8x scope and vehicle camera are fixed. Bugs related to vehicle sound effects and indoor firing sounds are fixed. Now, let’s take a closer look at the most important ones. This addition is very similar to the “Battle Pass” feature of Fortnite. In fact, you can even say PUBG Mobile “copied” the same system. This is basically a global ladder, which you gain a rank by completing daily and weekly missions. Completing a certain number of missions award additional loot crates. Moreover, each Royal Pass rank awards additional prizes. 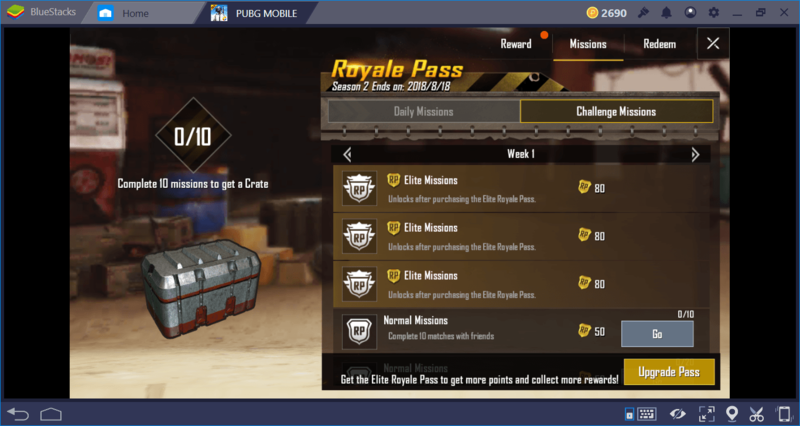 If you do not have the time to complete all daily & weekly Royale Pass missions, you can purchase the appropriate ranks directly from the Shop, with real money. Royale Pass is a seasonal event and the season 1 just started with the 0.60 patch. If you feel like spending a little money, you can purchase “Elite Royale Pass” from the Shop. The elite version provides more points for completing missions so you can gain ranks much faster. Since the release of PUBG, players wanted a FPS mode. The PC and console versions of the game got this mode a couple months ago, and now mobile players can enjoy it too. You can switch to this new mode from the main screen, by starting or joining a “Solo FPP” match. Note that once the match starts, you cannot switch back to the classic TPS (third person shooter) mode. FPP and TPS servers are different from each other: If you are playing a FPP match, every other player on that match are using the same game mode too. If you are used to the TPS mode, FPP mode will require some time to get used to. 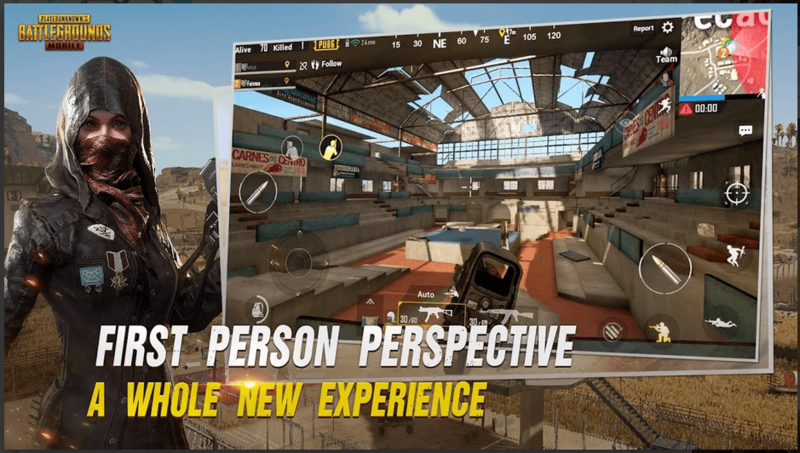 The gameplay and mechanics are completely different: FPP mode limits your PoV (point of view) so it is much harder to spot other players. The same thing goes for your opponents too. Your environmental awareness will be much lower while playing in this mode and reaction-times will be much more important. This gives mobile players a disadvantage, but luckily, you are a BlueStacks player and using your keyboard & mouse to play. The FPP mode will be much easier and fun for you! This is not the Miramar map which has been added to the game with the 0.50 patch. This is simply called “desert map” and it is very similar to the “Savage” map in the PC version. The map is very small: It is only 4×4. (Other maps in the game are 8×8.) The starting safe circle is smaller too and shrinks faster. Moreover, the loot drop/spawn rate is 3x. All of these means the new map offers a very fast gameplay. In order to play in this new map, your character must be level 10 and choose the “arcade” category on the main menu. Patch 0.60 may have added many new features and mods to the game, but there is one thing that did not change: the benefits offered by BlueStacks. 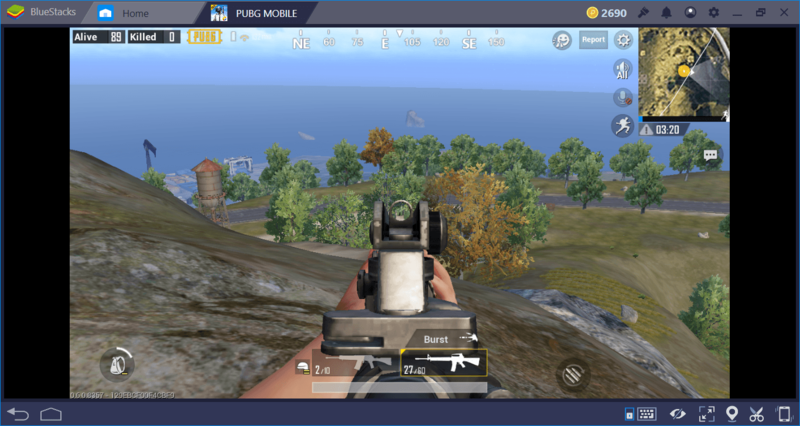 Thanks to the keyboard and mouse support, you can continue to dominate matches in the new PUBG mobile version. Good luck on getting that chicken dinner!